The price of ground beef broke into record-high territory in July. The average price of lean ground beef in July cost $3.08 per pound, up from $3.01 in June according to the Bureau of Labor Statistics. That’s the highest price posted for ground beef since the Bureau began tracking it in 1984. The price of ground beef had never topped the $3.00 mark until this summer. The Bureau of Labor Statistics’ first report recorded a price of $1.29 per pound in 1984. The increase in ground beef prices over the years has been a little lower than the overall inflation rate, and hit $2.36 in 2009. Since that time, ground beef prices have significantly outstripped the reported inflation rate. Had ground beef been tracking the reported rate of inflation since 2009, it would now cost $2.52 per pound instead of $3.08. 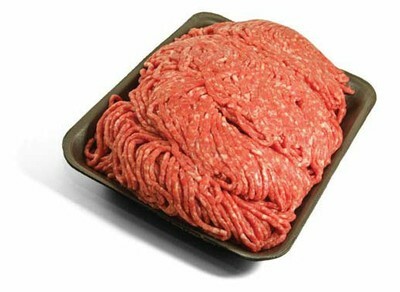 The price of ground chuck also hit a high in July, at $3.45 per pound. The price of chuck also grew more slowly prior to 2009, then made up for lost time after that. It took 18 years for the price of lean and extra lean ground beef to climb from $2.18 per pound in 1991 to $3.43 per pound in 2009. Since that time it has tacked on an extra 68 cents per pound and now sells for $4.11 per pound.